The President of Republican Sinn Fein, Ruairi O Bradaigh has stepped down from the post “for reasons of age and health”. 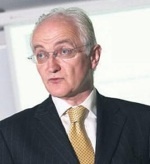 He will continue as a member of the party’s leadership and is expected to move to the position of patron of the party. 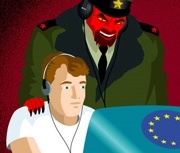 Anti-Lisbon campaigner Patricia McKenna has threatened the European Commission with legal action over what she claims is a “propaganda campaign” over the Lisbon Treaty. Sinn Fein’s Martin McGuinness has revealed that he was a conduit for an offer from the British government to the 1981 hunger strikers. The Green Party could collapse the deeply unpopular 26-County government unless party members back two key motions at the party’s convention on October 10, it has been confirmed. An all-Ireland economic summit must be held to find an alternative to the controversial plans to establish a ‘bad bank’ to handle toxic debt south of the border, Sinn Fein said today. The 26 County state is suffering net emigration for the first time since 1995. A major military-style operation similar to that mounted for royal visits swung into action this week as Matt Baggott officially took over as the new PSNI chief. The Bloody Sunday families have described the latest delay in the publication of the Saville report into the 1972 deaths as a “kick in the teeth”. A prolonged contradiction has arisen in talks over the proposed devolution of policing and justice powers from London to Belfast, with the DUP continuing to deny Sinn Fein claims that progress is being made in the talks. A prosecution is being prepared into the “worthless” expenditures of State training agency Fas as questions are being asked about a seven figure payment made by the Dublin government to its former director general last year. 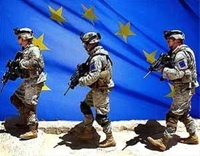 The Lisbon Treaty proposes to incorporate the European Defence Agency within the institutional structure of the European Union. SDLP leader Mark Durkan was forced to announce his intention to step down yesterday by colleagues who made it apparent that the knives were out for him, it has emerged. Brian Shivers, who suffers from cystic fibrosis, was granted bail on Friday after a judge heard prison authorities had failed to provide essential medical treatment for him. 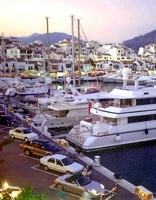 Ireland’s multi-millionaire developers were this week toasting the Dublin government’s bailout of the Irish real estate market in the Spanish playground resort of Puerto Banus, according to newspaper reports. 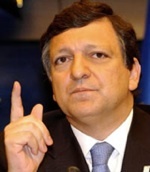 The European Commission president Jose Manuel Barroso kissed babies and pressed the flesh in an Irish-style political canvas, hours after threatening serious repercussions for Ireland if the Lisbon Treaty is not approved in the October 2 referendum. Loyalist secret societies have “cultivated hatred and sectarianism” and should be disbanded, according to the author of a new book on the Royal Black Institution. SDLP leader Mark Durkan has said he intends to stand aside as party leader after the next Westminster general election, which is expected around May next year. The 26 County Minister for Finance Brian Lenihan has confirmed a bailout measuring in tens of billions of Euro for Irish developers, property speculators and their bankers. A man currently being held on remand at Maghaberry jail on the basis of controversial ‘low copy’ or ‘low threshold’ DNA evidence could be dead by the time he is cleared of charges, his lawyer has said. The PSNI has been given seven weeks to hand over top-secret reports into the deaths of six men shot dead in Crown force shoot-to-kill operations. The main political parties are using the current economic crisis to scare people into supporting the Lisbon Treaty, Sinn Féin’s Dáil leader Caoimhghín Ó Caoláin has said. 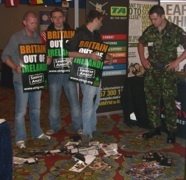 A British Army recruitment event in Belfast city centre was disrupted on Saturday, September 12 after éirígí activists staged a demonstration. Sinn Fein’s Martin McGuinness has insisted that the North’s political parties have reached “the end game” in negotiating a financial package with the British government on the transfer of policing and justice powers from London to Belfast. The 26-County Minister for Finance Brian Lenihan has revealed the extent of the highly controversial bailout to be provided to the main Irish banks following heavy losses by Irish developers in the property markets. 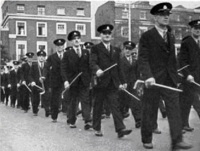 A report into the RUC police’s handling of one of the major loyalist massacres of the conflict is expected to reveal that four British Crown force agents were aware that unionist paramilitaries were planning the atrocity. There have been calls for a criminal investigation into the actions of the board of directors of FAS, the 26 County state training agency, who are to resign en masse over their questionable spending practices. Two devices were planted by the ‘Real IRA’ outside the homes of relatives of a Catholic PSNI member in Derry on Friday. 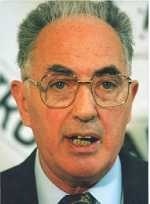 The Robert Hamill inquiry has heard that former RUC/PSNI police chief Ronnie Flanagan claimed that the Portadown man may have been accidentally killed by his own family. The Taoiseach Brian Cowen has accepted that he had “not got everything right” on managing the country’s finances, adding that the Irish people will endure further “short-term pain” to help balance the budget. 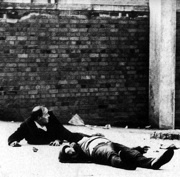 Two Belfast families whose lives changed forever after their loved ones were gunned down by weapons obtained by a British agent in South Africa have called on the government to tell the truth about their role in the murders. 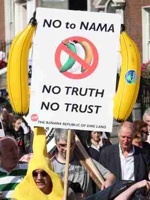 Amendments have been made to the proposed legislation establishing the National Asset Management Agency (Nama) to help the Green Party leadership get support for the plan at their special conference of members this weekend. 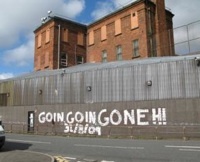 The IICD arms body under General John de Chastelain has said in a statement that it believes that the arms decommissioned in June by the unionist paramilitary UVF is all that remained under the control of that organisation’s leadership, and that UVF decommissioning has ended. Nationalists have warned that unionists are seeking a new political agreement for the North of Ireland in return for the transfer of policing and justice powers from London to Belfast. Angle grinders and saws were used to cut down so-called “peace gates” in Derry’s Bogside on Tuesday. Crown prosecutors have said that Deputy First Minister Martin McGuinness was not charged with membership of the IRA in 1994 because there was not enough evidence. Nationalists and republicans should have a united policy about one most important issue: Our right to make our own political, economic and cultural decisions. 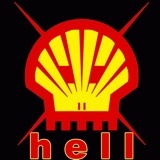 The issue of compensation for victims of the conflict in Ireland has become enmeshed in a political row over Anglo-Libyan relations and oil deals believed to be worth billions. A Commission on Taxation has recommended the taxation of child benefit and water charges as part of a reform package of the 26-County taxation system. A Coleraine man was set upon by loyalists on Wednesday night just yards from the spot where he was left for dead in a previous UDA attack which killed his friend, Kevin McDaid, in May. 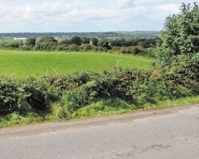 A Dungannon man has told how he returned home on Thursday to find two armed individuals dressed in fatigues with their faces blacked out running up a field behind his house. Sinn Fein has vowed to systematically disrupt the business of the Dublin parliament to prevent passage of the bill setting up the National Assets Management Agency. A conference held at Shannon airport on Saturday heard repeated calls to prevent major corporations from spending over a million Euro on promoting a ‘Yes’ vote in the Lisbon Treaty referendum. The killing of Loughlin Maginn was to spark a chain reaction of events that would finally lift the lid on Crown force collusion. The Scottish government outlined plans today [Thursday] to hold a referendum on independence for Scotland next year. The PSNI has been strongly criticised for its actions during a major riot in east Belfast following a Sinn Fein rally. The Green Party has admitted that a snap election may have to be held within the next six months following a sharp decline in support for the 26 County government and the Lisbon II Treaty referendum. The UDA has stepped up a campaign of intimidation in the north Antrim, sending threatening letters to Rasharkin residents and expanding a list of targets in nearby Coleraine. The PSNI chief who led the investigation into the sectarian murder of Robert Hamill claimed the reason he did not record significant evidence in police files was because he was so concerned about the risk of collusion. There has been in increase in the number of helicopter patrols in the skies over south Armagh amid a debate over the possibility of a return of British Army foot patrols in the area. With just five weeks to go to the referendum on Lisbon 2, the Yes side grows ever more desperate and its advocates more bizarre.